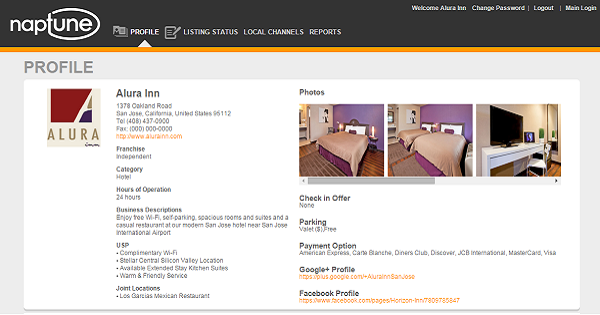 SANTA CLARA, CA: May 20, 2015 – Milestone Internet Marketing, leader in hospitality digital marketing software and services, announced the release of NAPtune – local search marketing solution, a SaaS-based local listings management solution for the hospitality industry. NAPtune allows any location-based business, including hotels and restaurants, to manage their local business listings across the digital ecosystem in a single interface. Accuracy and consistency of business information, especially URL, Name, Address, and Phone Number (NAP), across the local and social ecosystem is key to having a business rank on search engine local results pages. This short NAPtune product video highlights the capabilities and purpose of the local listings management tool. Hotel searches are inherently local in nature as they are mostly tied to a geo-location. NAPtune helps hotels have consistent information in the local eco-system of directories, data-aggregators, and Internet Yellow Pages (IYPs), resulting in better visibility on search engines. When these online channels have inconsistent data about a hotel (URL and NAP), search engines run the risk of providing the wrong information to users, which can negatively affect the business’s credibility and visibility on search engines. NAPtune is able to take on this challenge and deliver significant ROI to businesses by effectively managing its business listings and consistently displaying the key information accurately across influential channels in the local ecosystem. 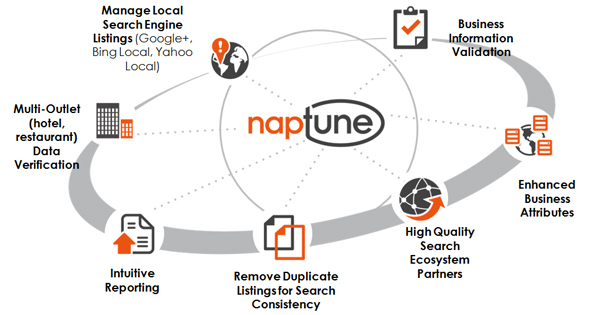 “NAPtune was created by people who truly understand the complex world of Local Search. They experienced the same frustrations we all have working with local ecosystem in ensuring complete and accurate listings and developed this robust tool as a way to meet their own needs in servicing clients,” states Mary Bowling, Local Search Expert and Blogger. “The NAPtune program combines automation with manual work, where needed, giving us the best of both worlds. I’m very happy with the results I’ve seen from using it,” she concluded. The true power of NAPtune is highlighted in the market. Matt Hildebrant, from Ayres Hotels, compared their hotels within the same market that are NAPtune-managed hotels vs. hotels not enrolled in the platform. NAPtune-managed hotels “had a significant revenue lift, page view, and website traffic compared to those that weren’t on it (NAPtune)“. Ayres website noted a 48% increase in unique visitors since being promoted using the NAPtune platform. For more information about NAPtune and how Milestone services can help drive traffic and direct bookings to your hotel, contact us.